bbPress is forum software with a twist from the creators of WordPress. 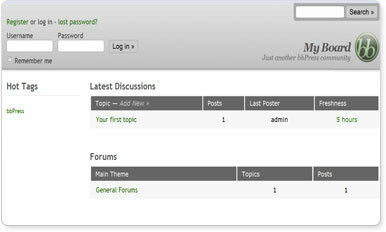 bbPress is plain and simple forum software, plain and simple. It's easy to use, easy to administrate, fast and clean. But don't let its simplicity deceive you; underneath the gleam, it's got some powerful features and is highly customizable.